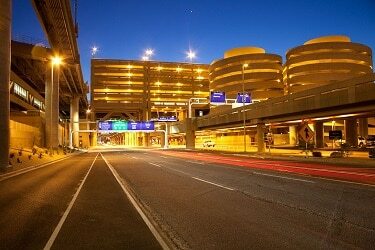 Phoenix Sky Harbor’s massive inventory of parking solutions makes leaving your car at the airport quick, simple and cost-effective. 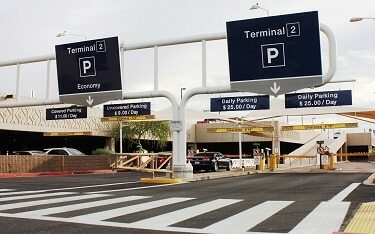 Phoenix Sky Harbor has more than 21,000 parking spots available for the traveling public. The massive inventory of parking solutions makes leaving your car at the airport quick, simple and cost-effective. See below for easy steps to taking advantage of the airport’s numerous parking options. Prepaid discount parking offers the convenience of parking in the terminal garage near your airport gate at a reduced rate. Generally, travelers reserving a spot through this system save about 40 percent off the cost of parking in the terminal garage. It’s easy. Reserve a parking spot online up to six months in advance by visiting skyharbor.com. Sky Harbor’s website features a convenient tool to advise customers where to park based on the airline, desired price and availability. The tool allows travelers to select the airline on which they’re traveling followed by an option of choosing between the nearest parking location or the most affordable one. Travelers can also call (602) 273-4545 to get information on the number of spaces are available, where they’re located and the price of each one. America’s Friendliest Airport® offers a variety of economy parking options. In addition to East Economy parking which offers garage and uncovered options, the Terminal 2 Garage also offers economy uncovered and covered parking. Cost-conscious travelers flying out of Terminal 2 can also park and walk from the West Economy Park for greater savings. And remember, if you happen to misplace your car among the 21,000 parking spots, no need to worry! Sky Harbor offers free, on-the-spot motorist assistance. Friendly assistants can also assist with flat tires, keys locked in a vehicle and several other minor motorist emergencies. Just find one of the many blue parking assistance call box in airport parking lots and garages and give the parking team a call. Be sure to also connect with Sky Harbor on Twitter, Facebook and Instagram @PHXSkyHarbor for the latest news and information.